Looking for a great, unique gift idea? Give the gift of fishing with a pro. 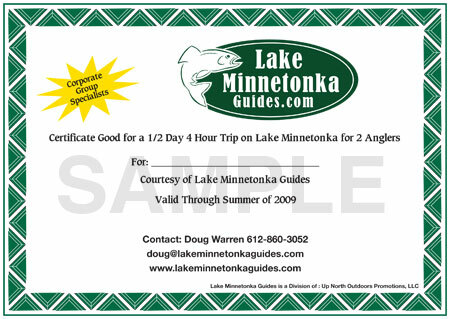 Lake Minnetonka Guides offers a great gift for birthdays, graduations, wedding parties, holidays and the list goes on. Lake Minnetonka Guides will ensure a great day on the water for your recipient. Multiple boat gift certificates are also available.